PARISH LENTEN FOOD PANTRY COLLECTION at all of the weekend Masses of March 30/31, 2019! On Saturday and Sunday, March 30 & 31, 2019, we ask you to consider bringing one or more food items for area food pantries. Your food items may be placed in the boxes as you enter the main entrance of Church, to the right of the Statue of Mary. We also accept Food Gift Card donations in amounts of $5 thru $50. The gift cards may be placed in the envelope posted on the window near the food pantry box in the entry of the Church. Plan to attend a special presentation, Biblical Way of The Cross, on Friday, March 29th at 5:30 at St. Mary’s Church, Crescent. This presentation is based on the Stations of the Cross led by Pope John Paul II. It features song, word and prayer and is led by members of the Albany Chapter of NPM, National Pastoral Musicians. Following Stations please stay to enjoy a simple supper of soup and bread and fellowship. A free will offering will be taken. Be sure to register by Friday, March 22nd by contacting Melinda Cestaro, mcestaro@gmail.com. Attend Weekend Mass Every Week of Lent! What does God want each of us to hear today? 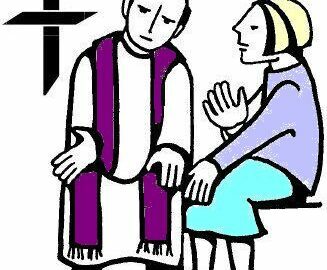 Lent 2019 Weekends: March 9/10, March 16/17, March 23/24, March 30/31; April 6/7; April 13/14. Weekend Mass Times are Saturday Vigil Mass @ 4:30 pm and Sunday Morning Masses @ 8:00 am & 10:30 am. P.S. Invite a family member, a friend, a neighbor, a co-worker, a fellow parishioner to join you in attending Mass every weekend of Lent 2019! A chicken parmesan and ziti dinner will be held on Saturday, March 9th at 5:30 PM in the parish hall. The dinner will consist of chicken parmesan, ziti, salad, rolls and butter, dessert, and beverages. Ticket prices are: Adults – $10.00 Children 12 & under – $5.00. Tickets will be sold after masses on the weekends of February 23/24 and March 23 and during those weeks in the parish office. Take outs will be available but need to be ordered in advance. We ask that all tickets be purchased and take outs be ordered no later than March 5th.